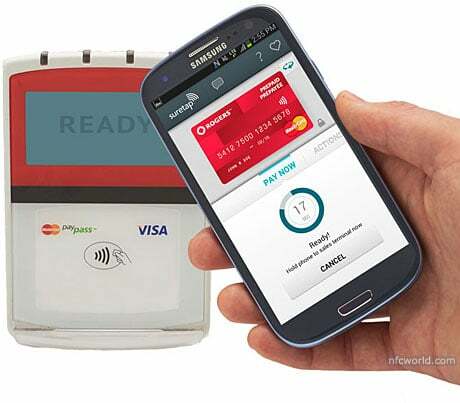 Canadian carrier Rogers Communications has added support for multiple card types to its Suretap wallet service. The new NFC-enabled cards include a Rogers prepaid MasterCard and gift cards from a range of merchants including Swiss Chalet, Milestones Grill and Bar, Montana’s Cookhouse, Harvey’s, Kelsey’s, Indigo, Earls Restaurants, Ardene and Spafinder Wellness 365. To use the service, customers need one of the nine Android and BlackBerry 10 NFC smartphones currently supported, a C$12.99 Suretap LTE SIM card and an Android or BlackBerry 10 edition of the Suretap wallet app. The service also continues to work with launch partner CIBC’s Mobile Payment App, enabling the bank’s credit card holders to make contactless payments using a Rogers NFC phone. Apple iWatch to ship with NFC this year?